If you operate an Instagram account for your business you should carry out regular Instagram audits to ensure that you are working it as effectively as possible. An Instagram audit allows you to examine whether you are meeting your business goals or not. It then gives you the opportunity to tweak your Instagram usage, so you stay on track. Otherwise, there is a danger that you will devote time and other resources to a pointless activity, irrelevant to attaining your goals. 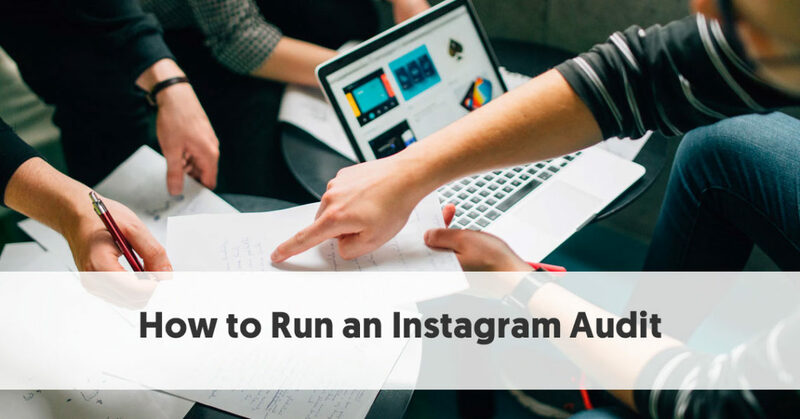 Here are the steps you should follow each time you carry out an Instagram audit. You should regularly undertake similar reviews for your other social media accounts, too. Below is an easy to use Instagram Audit Tool to check your profile for fake followers. 5. How’s Your Hashtag Usage? 7. How is Your Interaction with Your Community? Operating a business Instagram account is no different from any other business activity. If you don’t have a purpose for spending time on Instagram, then your time (or that of the staff member to whom you delegate social media activity) would be better spent elsewhere. Hopefully, you will have already set goals for your business. Whenever you carry out a review or audit of any business activity, you should check that It helps you make tangible progress towards meeting your overall business goals. In most cases, you will be using your Instagram account as part of your business marketing efforts. Therefore you will also want to check that your Instagram activity is congruent with your marketing goals. In short, you want your Instagram activity to align with your marketing goals, which in turn align with your overall business goals. For instance, if you use your business Instagram account to share snaps of you with your drinking buddies, this probably misaligns with a business goal to appear professional. Similarly, if you have set a marketing goal to use your brand’s colors consistently, but you don’t use them anywhere on your Instagram profile, then you are not meeting your goals. It’s easy to forget your overall goals if you find yourself rushing to make your quota of daily Instagram posts. This is one of the reasons why a regular audit is essential for pulling you back on track again. You also need to ensure that you are measuring your goals correctly. For instance, it is easy to tell if your goals are aesthetic – you can tell with a quick glance whether you are using the correct shade of green in your branding, for instance. In other cases, you need more concrete KPIs. For example, if you are relatively new on Instagram, you may set a target to increase your followers by a certain amount. Obviously, your KPI, in this case, would be an increase in follower numbers by the stated amount or percentage. If your goals relate to engagement, you might want to check the number of shares or likes your posts have in a particular timeframe. A business Instagram account often differs from a personal one because you try to convey a particular type of image to your followers. This image will match the way you want people to look at your business. Perhaps you want them to see you as being professional, or maybe you would prefer to come across as being friendly and approachable. You should take an overall look at your Instagram account – including your profile, preferred color scheme, language used, type of image shared, captions, hashtags, and the way you interact with your followers. You will want everything to be consistent with your brand and match your preferred tone. Ultimately you want your Instagram channel to have the same look and feel as the rest of your company’s marketing channels. A potential follower should be able to look at your account and know exactly who you are, what you stand for, and the type of content you share. If your business has a branding guide, ensure that your Instagram account follows the rules – as much as any other form of branding. While Instagram sets some restrictions, wherever possible, upload the correct version of your logo and the exact shades of any company colors. Cadbury, for instance, does this well. They have separate Instagram accounts for each market they operate in, but they all have a consistent look and feel. Each includes the familiar Cadbury script logo and their patented purple background. Similarly, most of their posts also feature their particular shade of purple. In recognition that they sell directly to consumers, they use simple captions that appeal to typical chocolate lovers. Hopefully, you will have thought about this when you set up your Instagram account. One of the first things you need to get right is your Instagram account name. You will want it to match your brand name and the name you use on your other social profiles. You want to make it easy for people to find you, and to understand that yours is the official account for your business. This can be tricky when somebody already operates your preferred Instagram name, but in that case, you should still pick an Instagram handle as close as possible to your preferred name. If you can’t use your preferred name, you need to make it very clear in your profile that your account is the official business account. Your profile is one of your most important pieces of Instagram real estate. It won’t be very long, so you need to ensure that every word counts. As with everything else, you need to ensure that it matches your preferred branding and tone. Again, you want your bio to match what you use across all of the rest of your social accounts. The words might not be identical, but the spirit needs to remain the same. You will want it to encapsulate everything that is important about your brand in only a few words. However, even if you prefer a professional tone, you still need to keep you bio simple. Describe what you do succinctly. You should generally upload your current business logo as your profile picture. Make sure that it is Instagram's preferred size – 180x180 px is the best size for both web and mobile usage. Your page name will display beneath your username. If you were able to use your brand as your username, you could then use your tagline as your page name. Alternatively, that is where you would write your brand name if you couldn’t get it as your username. You have 150 characters to use for your bio. This will be your first impression to many people, so make it memorable. You will want it to be consistent across all of your social platforms. Make sure that it is written in the right tone and conveys the message you want to tell about yourself. Unlike most other social media channels, you don’t have a separate cover photo on Instagram. Instead, you have a montage of your most recent uploaded photos. One of the most important things you should do is to examine your website link. This is the one place on Instagram where you can place a clickable link, so make the best use of that opportunity. Often it makes sense for you to link to a specific landing page, rather than your generic home page. Again, look at your current goals. 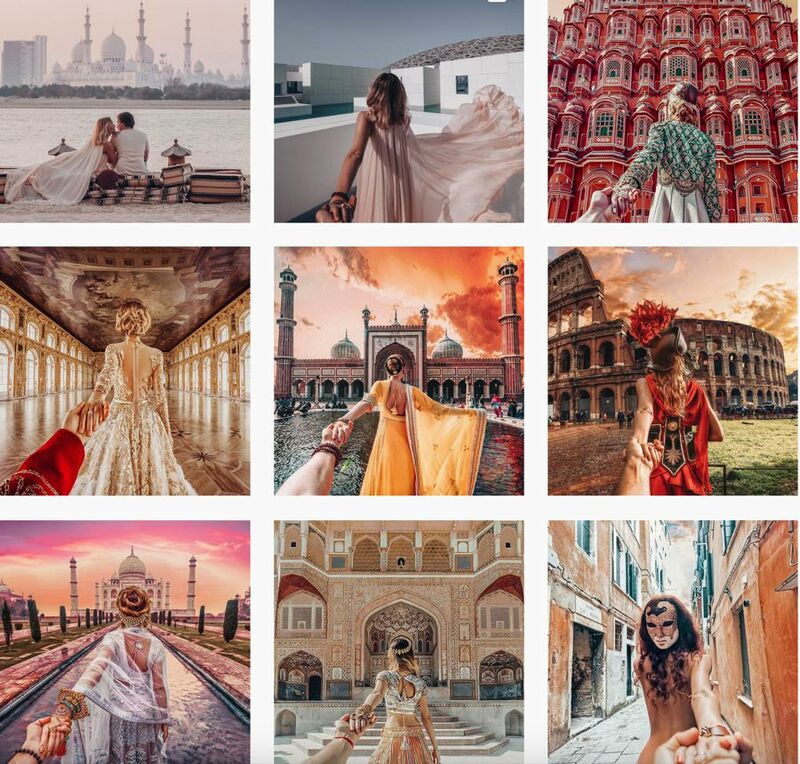 Where do you want to direct your Instagram followers? Many businesses alter this link regularly. They create specific landing pages for current promotions or fresh content and then change the profile link to direct to the latest page. Influencers often use this link to lead people to a webpage for a company they are currently working with. 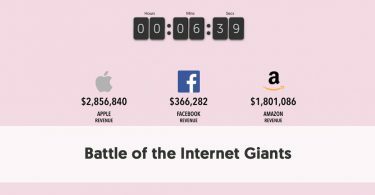 The most successful companies on Instagram don’t post random material. They make posts that relate back to the current goals they are pursuing. Posts tell a consistent story, and have a similar look and feel about them. Your audience should be able to understand what you have to offer from looking at any post. Take a close look at your most recent posts. Do they tell a consistent tale? Do they follow the aesthetics and branding you looked at previously? Your posts should follow a particular overall color scheme. 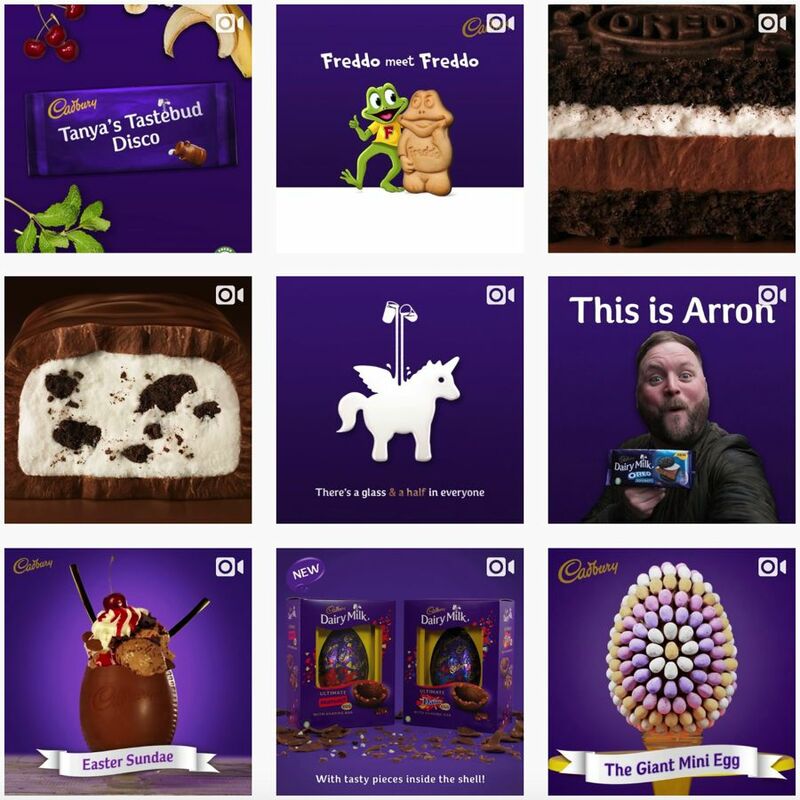 Sure, not every image posted by Cadbury contains their corporate purple, but enough do so that when you see all of their posts in a collage, the color stands out. Coca-Cola doesn’t focus so much on color in their images, but they do make great use of their logo and bottle shape. There should be an overarching connection to your posts. You don't want them to come across as disjointed. Every post should in some way move you towards reaching your goal. The images you select should follow some consistent pattern. It might be that they focus on a narrow range of subjects. It might be the colors you use. Or it may merely be the aesthetics of the shots you choose to share. You want the theme of your content to stand out as identifiably yours. As much as you want to follow a theme, you also need to ensure that you vary your posts. In particular, people will quickly become sick of your posts if you feature your products every time. You need to ensure that you convey that your brand is well-rounded and that you are not merely trying to sell on Instagram. While you are carrying out your Instagram audit, it is worthwhile revisiting some individual posts. Check your captions. Do they match both the tone of your image and your overall goals? Are you sharing high-quality images of sufficient resolution? Your images will display at 512 x 512 pixels on your photo feed. The maximum file upload size is 2,048 x 2,048 pixels. When viewed in Lightbox, the maximum size of your image is 612 x 612 pixels. If you’re uploading a video, it can be 3-15 seconds long, with a clip size of 640 x 640 pixels. In particular, take notice of any posts that underperform. Ask yourself why fewer people have liked or shared those posts. Do they have something wrong with them? Does a particular type of post resound less with your audience? 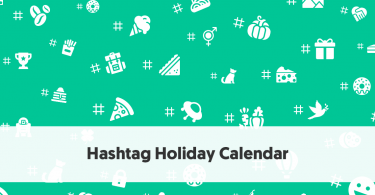 Hashtags play an important part in building your audience. You can use up to 30 hashtags in Instagram, and the sweet spot appears to be 20 hashtags. But it is vital that you use hashtags that are related to the image or video you are sharing. Instagram looks dimly at accounts that use the same set of hashtags for every post they make. As part of your Instagram audit, you need to check that you have been using, but varying, hashtags in your past posts. Ideally, you should create some hashtags specific to your brand. In time you will hopefully be able to encourage your audience to use them. The Ultimate Guide to Using Instagram Hashtags to Grow your Followers provides you with more details on the best practice for hashtag usage. Check that you have been mixing branded and unbranded hashtags in each of your posts. Take a close look at who’s following you. Unfortunately, there are fake followers on Instagram, who do nothing to help your account’s credibility. 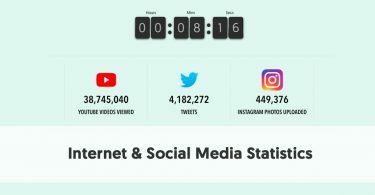 Use out FREE Instagram Audit Tool [Fake Follower & Audience Credibility Checker] every time you carry out an Instagram audit. Finally, you want to look at your interaction and engagement with your community. Take another look at your most recent posts. Check that you have been responding appropriately to comments, having genuine conversations with your followers. Are you liking and sharing posts they share? Remember you can’t just be a broadcaster – you have to share other people's’ work as well. Similarly check that you are responding to all of your direct messages, not making people feel that you are ignoring them. Take a look at the accounts you follow. Are you following all of the influencers in your industry? Are you engaging with these important people? The more you interact with them, the more they will look favorably upon your brand. Once you have carried the steps of your Instagram audit, take note of anything you can do to improve your Instagram account and its usage. Why don’t you schedule an Instagram audit soon, to ensure that your Instagram account becomes a useful tool to help you meet your business goals?